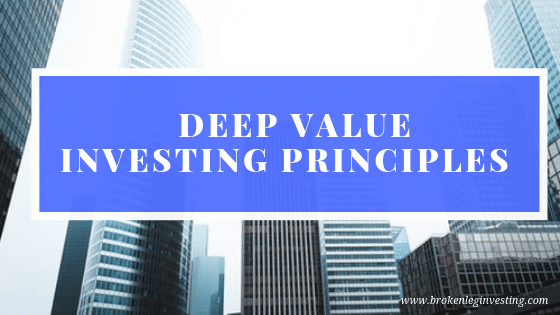 This article on Deep Value Investing Principles You Must Know was written by Josh Klein. Josh is a private investor and a commercial real estate analyst from New York City. He combines balance sheet health with operational efficiency in his personal account. Article image (Creative Commons) by All Bong edited by Broken Leg Investing. Is value investing too hard to try? Is it even worth it for us mainstream retail investors to give it a shot? If we take a look at Warren Buffett, Joel Greenblatt, David Dreman, and many others, it is quite apparent that deep value investing is effective, but can we replicate their strategies? Where do we even start? Although the greats utilized different methods, their philosophies all stem from the same school of thought – buying stocks for less than what they are worth. Before that, however, there are a few must-know elements to deep value investing that precede implementing any strategy. The first – be prepared to think differently. The first step in becoming a deep value investor is to buy when there is blood in the streets. When the stock market is crashing and investors run away, deep value investors must be prepared to act. It is during times of ultimate uncertainty and bleak futures that investors of true deep value nature thrive. Regardless of your investing strategy, by definition, those who succeed at investing step forward when others are selling by buying stocks at low entry points. It isn’t easy to execute strong conviction and contrarian thinking. Being a true contrarian means you’d likely have to sit on the sidelines while others make money investing in securities with nosebleed valuations. Investors will shout that the current trends are a new reality. It happened during the early 1920s, the age of the internet stocks in the late ’90s, it happened with cryptocurrency last year, and it’s happening now with marijuana stocks in America and Canada. Although it is possible to make short-term money with these investment types, long-term-oriented value investors will prevail when these bubbles crash. Walter Schloss and Buffett were able to withstand the naysayers of their time and accumulate incredible returns using value investing techniques; modern retail investors can do the same with just a little bit of conviction. Contrarian investment thinking isn’t an inborn trait. It can be learned by performing deep due diligence on investment opportunities. A key element to successful value investing is analyzing the ins and outs of a company to the point where one is unequivocally sure it is undervalued. When markets fluctuate between values, the deep value contrarian doesn’t lose sleep. Their investment analysis must be so thorough that when a stock drops significantly in value, it becomes an opportunity rather than a point of fear. Regardless of the strategy used, the investor must be confident, contrarian thinking will follow with ease. Focus primarily on tangible assets such as cash, receivables, property, and plant. Building high-expectation growth models into your analysis will lead you astray from current market conditions and put too much focus on future hopes of strong earnings and cash flow. Although your hopes might materialize — as seen with some of the few growth internet stocks of the early 2000s — investment success should never be backed by the pillars of hope and expectation. Confidence is paramount in order to be a part of the value investing community, but overconfidence and stubbornness can be destructive. Be careful to dot all your I’s and cross all your T’s, because oftentimes – especially in the deep value world – stocks are cheap for a reason. When a company is trading below its cash on hand and at 20% of sales, management might be eroding long-term shareholder value. Be thorough in your analysis to limit the long-term loss of capital. Ask the appropriate questions to ensure the given opportunity truly falls under the value-investing umbrella. Is management buying back shares in the open market? Are they making efforts to expand profit margins? Do they seek areas of growth, either in an organic or inorganic fashion? Bargains exist in all market conditions. Ask the right questions, do the analysis, and in the event that you’re mistaken, don’t hesitate to admit it and sell. There is no room for foolishness in the stock market. As mentioned above, value investors turn falling prices into major opportunities. Assuming the calculations are correct and the market is spitting out a unique opportunity, don’t be afraid to buy more as the stock declines. A good value investing opportunity can remain undervalued for many months. Generally, the market will catch up to the analysis and re-price the shares according to their intrinsic value, but sometimes that takes time. Look for stocks with built-in catalysts like product releases or buyouts and buy, even if prices continue to fall. Acting with conviction and avoiding crowd psychology can prove invaluable to your long-term value investing portfolio. Most know value investing consists of purchasing shares of a company below their intrinsic value; however, many don’t know some of the other key elements to successful value investing. The points described – contrarian thinking, strong investment analysis, understanding the dynamics of bargain stocks, and buying when prices drop – are all essential for long-term success. Be patient and act with conviction. As long as you put these principles at the forefront of your mind during the decision-making process, you’ll certainly attain astounding results. 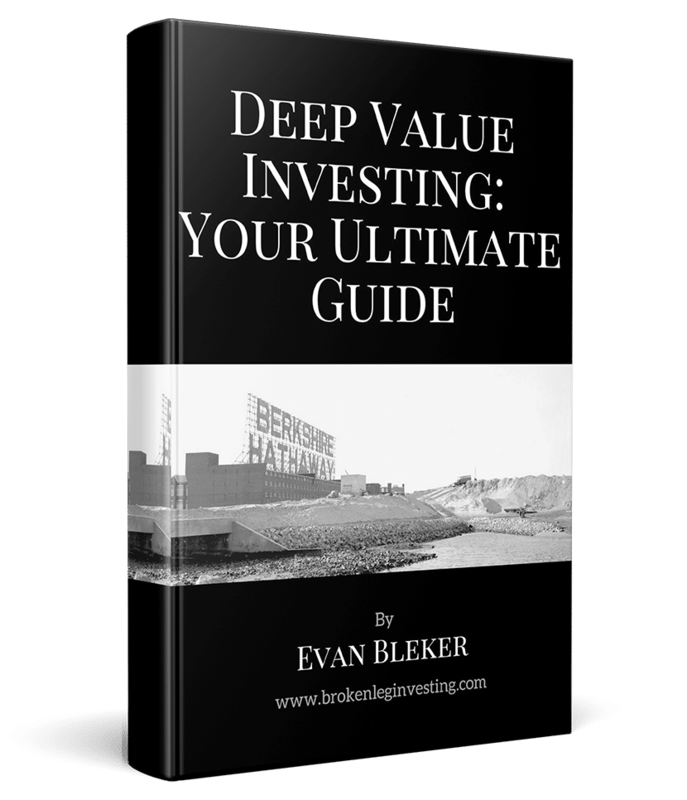 Enter your email address below because we’ll send you inside info on Essential Deep Value Investing Principles today, PLUS a free copy of The Broken Leg Investment Letter. This entry was posted in Deep Value Investing and tagged deep value investing, deep value strategies, deep value strategy. Bookmark the permalink.